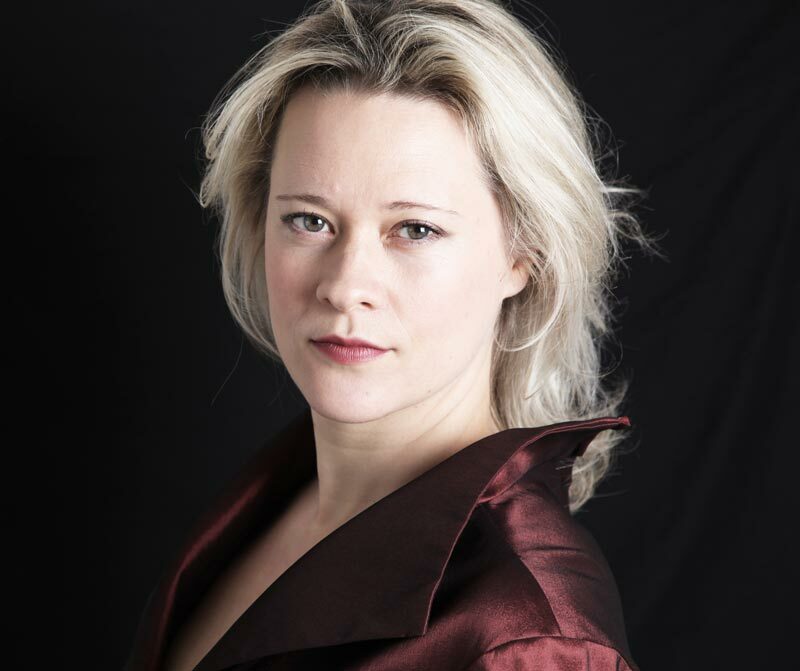 Pushkin House is proud to present two leading artists of their generation: internationally renowned soprano Ilona Dominch, and violinist Sophie Rosa, accompanyed by artistic director of Oxford Lieder festival, pianist Sholto Kynoch. They will present a programme of Rachmaninov songs. In addition, Sophie Rosa will perform one of the most substantial violin sonatas written in the 20th century, that of Richard Strauss. ILONA DOMNICH - is a lyric soprano (leggiero), who is described by critics as a sensitive musician and actress of magnetic presence, with a voice of silken beauty and luminous edge. She was chosen by Opera Now 2014 as one of the Top 10 high flyers: a 'new generation of sopranos who are destined to have impressive careers'. She was Artist of the Month in Opera 2015 and The Telegraph's choice of best British-based talent in December 2015. Originally a pianist, Ilona was spotted by a legendary singing teacher Vera Rosza. She went on to win the prestigious Wingate Scholarship to study at the Royal College of Music. Her career is growing steadily world-wide. Operatic highlights include Rosina (Il barbiere di Siviglia), Mimi (La Boheme), Gilda (Rigoletto), Olympia/Antonia/Giulietta (Tales of Hoffmann), Rosina (Il barbiere di Siviglia), (Fortunio), Elle (La Voix Humaine), Melisande (Pellease et Melisande), Magda (La Rondine), Tatyana (Onegin), Zerlina (Don Giovanni), Eurydice (Der neue Orpheus), Venus (Judgement of Paris), Madam Herz (Der Schauspieldirektor), Blondchen (Die Entfuhrung). Ilona works in close collaboration with: English National Opera, BBC Concert Orchestra, Grange Park Opera, Buxton Opera Festival, English Touring Opera, Northern sinfonia, Royal Philharmonic orchestra, London Concert Orchestra, Southbank Sinfonia, Festival de Musique de Menton, Trasimeno Music Festival and Anghiari in Italy, Chopin festival in Mallorca, Aldeburgh festival, London Song Festival, Jersey international festival. Ilona has appeared in concerts in London at the Queen Elizabeth Hall, Royal Albert Hall, Barbican, Westminster Cathedral, St. Johns’ Smith square, St. Martin in the Fields and internationally in Paris, Menton, Segura, Rome, St.Peterburg, Jerusalem, Tokyo, Nagoya, Kyoto and Osaka. Ilona’s fruitful collaboration with Southbank Sinfonia and Simon Over, with whom she has performed the Brahms requiem, Mendelssohn ‘Lobgesang’, Ravel Scheherazade, Gounod ' Missa sollemnis' and the roles of Tatyana and Gilda, led to the creation of an Operatic CD 'Surrender' with the baritone Leo Nucci, recorded and produced by Rupert Coulson (the producer of The Rolling Stones) and is released by Signum classics. Ilona is currently preparing roles with Montserrat Caballe to debut in Opera houses around the world. She will sing Poulenc Gloria at Notre dame de Paris , Brahms requiem, Chant d'Auvergne, a recording of V. Williams 'the Scott of Antarctic' with Royal Scottish national orchestra, Beethoven 9th and recitals with Benjamin Frith and Simon Over in London and Nice. Ilona is also developing her own one woman show based on the songs of Marlene Dietrich and Jacques Brel with opera director James Bonas and a jazz group. 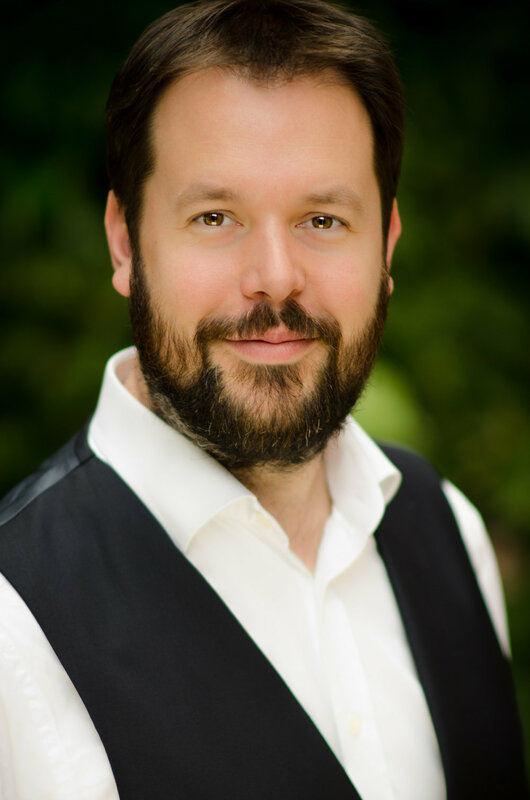 SHOLTO KYNOCH- is a sought-after pianist who specialises in chamber music and song accompaniment. In addition to a busy performance schedule and a fast-growing discography, he is the founder and artistic director of the Oxford Lieder Festival, the UK’s most renowned song festival, which recently won a prestigious Royal Philharmonic Society Award. Recording projects include an ongoing series of the complete songs of Hugo Wolf, recorded live at the Oxford Lieder Festival. He is also recording the complete songs of John Ireland and Havergal Brian with baritone Mark Stone, with whom he appears regularly in recital. Other CDs include Beethoven trios with the Phoenix Piano Trio and discs of Schumann and Schubert Lieder. 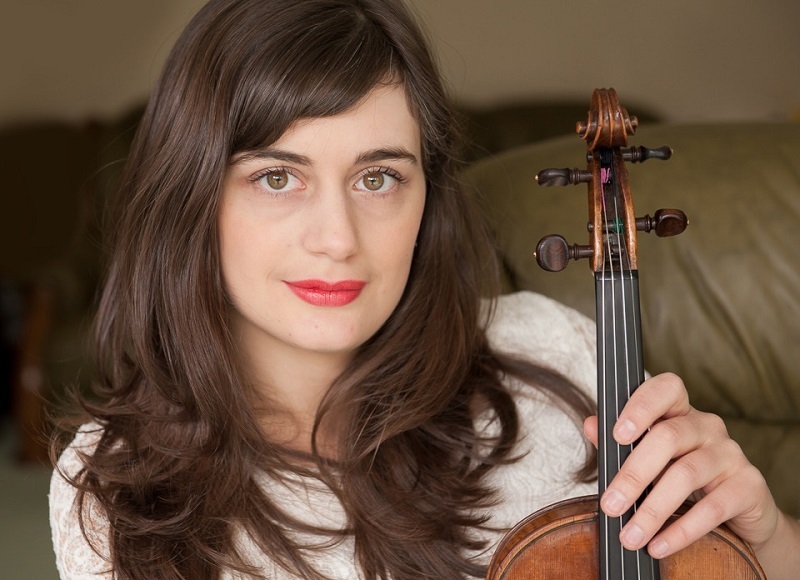 Sophie Rosa- was awarded the Second Prize and Audience Prize at the 2nd Manchester International Violin Competition 2011. She has performed across the UK as a recitalist in venues including the Royal Festival Hall, the Purcell Room and Bridgewater Hall as well as performing live on air for BBC Radio 3. Sophie has recorded at Champs Hill Records and appeared with the Royal Liverpool Philharmonic Orchestra and the Manchester Camerata. Sophie's debut album, 'Reve d'Enfant' was released in 2016 on the Champs Hill Records label. It was described in Musical Opinion as, '....a very fine disc, containing uniformly excellent performances in great style and played with complete musical understanding....a very desirable record of the year'. The disc has also received excellent reviews from Fanfare Magazine, Music and Vision and it was selected as one of the highlights of the year in the Manchester Evening News. Sophie is currently working on a disc of violin duets for EM Records with Midori Komachi and Simon Callaghan, which will be released in April 2017. Sophie has performed regularly throughout the UK and internationally from a very young age. An early highlight was a solo concerto for HRH Princess Margaret when she was just seven years old. In 2006 she was a finalist in the BBC Young Musician of the Year Competition and was the First Prize winner of the Lions European Music Competition, Cannes. Sophie studied at Chetham's School of Music and the Royal Northern College of Music with Wen Zhou Li. She was a recipient of the RNCM Gold Medal and was also awarded the Worshipful Company of Musicians Silver Medal in recognition of her musical achievements. Sophie was also a recipient of the prestigious MBF Ian Fleming Charitable Trust Award. After completing her Masters Degree with Distinction, Sophie completed the RNCM International Artist Diploma in Solo Performance and furthered her studies in America where she has been mentored by Midori Goto, Miriam Fried and Donald Weilerstein. The Lieder Festival is the focal point of Oxford Lieder’s year, presenting more than 35 concerts and dozens of other events celebrating the unique art form of song. It is well established as one of the world’s leading song festivals and the biggest in the UK, attracting many of the world’s greatest artists. Oxford Lieder has a mission to re-establish an appreciation of song; the meeting of words, music, languages and artistry that can be so powerful, yet which has been neglected in recent decades.